NorFab provides access to state-of-the-art laboratories for Norwegian researchers, independent of their academic, institute or company affiliation. The laboratories include the three nodes NTNU NanoLab in Trondheim, SINTEF MiNaLab and UiO MiNaLab in Oslo, and Vestfold University College’s MST-Lab between Tønsberg and Horten. In addition to the grants provided by The Norwegian PhD Network on Nanotechnology for Microsystem, there are other funding sources for projects within the NanoNetwork scope. The list is not exhaustive, but may suggest some funding options. Our partner institutions will on a regular basis have job openings for students and researchers in nanotechnology for microsystems. 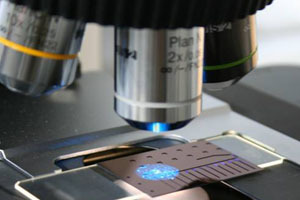 Job opportunities may also be found with a number of companies who do work within the nanotechnology field. The list is not exhaustive, but shows some international companies with branches or offices in Norway, together with some local and national companies.